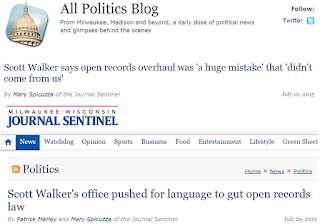 DemoCurmudgeon: Walker caught lying about his involvement in trashing Open Records Law. Video, Watch him Lie! 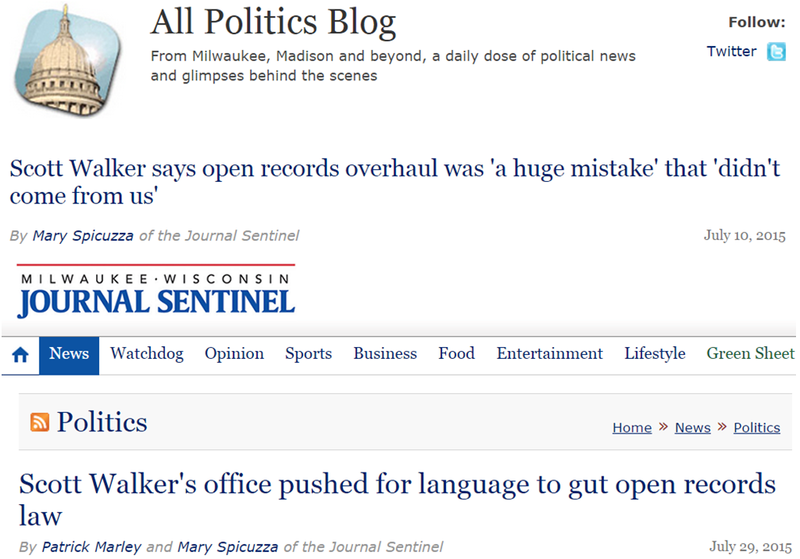 Walker caught lying about his involvement in trashing Open Records Law. Video, Watch him Lie! Gov. Scott Walker's office pushed to add language into the attempted overhaul of Wisconsin's open records law that would have shielded briefings, discussions about policy drafts and other "deliberative" documents, newly released documents show. The records, described as "deliberative process materials," would have also made unavailable to the public opinions, analyses, recommendations, suggestions and notes that preceded a final decision. Early versions of the sweeping open records limits did not include language preventing the release of deliberative materials. But limits to "deliberative process materials" were in place by June 15, a review of newly available records shows. Now that we know the truth, it's worth a look at how Walker lies...by never answering straight forward questions like below. If our kids did that we'd know they were lying, if an adult sized adolescent bully did it, were supposed to give him the benefit of the doubt? Don't think so. Still, this is how Walker answers most of his questions, which begs the question, why is he always lying?